Add a little sparkle to your home with the Aliza collection. This bath bar boasts a cool chrome finish with a crystal cut glass shade. The glass shade of this bath bar is created by hand. A never-ending string of molten glass is literally poured into place until the cubed shape evolves. 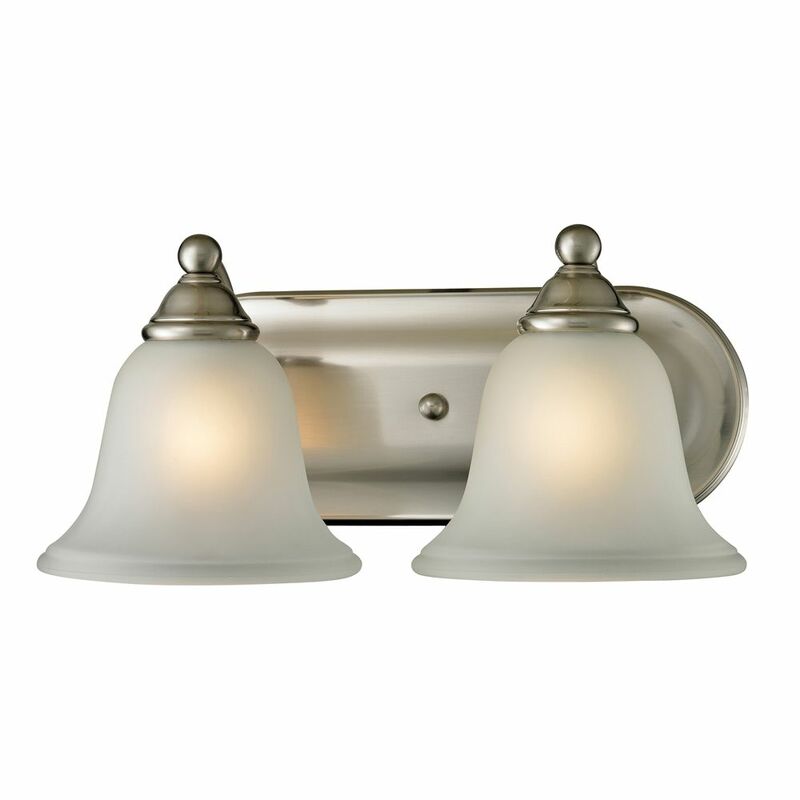 2 Light Bath Bar In Brushed Nickel With Led Option This gorgeous vanity light features a clean design with metalwork finished in brushed nickel and etched glass.